Next up…EPMD? EPMD are actually #3 on my all time list. 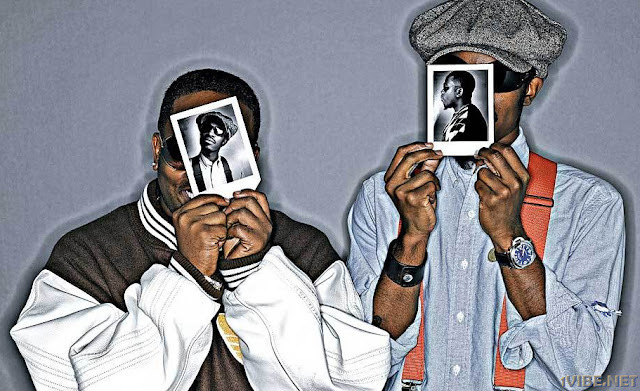 Erick and Parrish were dope cause their first 4 albums were sick but I think what keeps them from getting the title is at the end of the day, neither Erick or Parrish were really ILL mc’s. They were both dope but not ILL. Gangstarr? To be honest, I think Gangstarr is the closest competition for Outkast for the title. All 6 of their albums were dope (I know a lot of people didn’t like the Ownerz but I thought it was dope) but at the end of the day, I just feel as though Outkast outshines Gangstarr in so many areas it doesn’t even make sense. One of the differences between Gangstarr and’ Kast is simple. And even though I love Gangstarr, I feel like much of their music could be moved around throughout their albums. And what I mean by that is “The Place Where We Dwell” could’ve easily gone on “Step in the Arena” and “The Planet” could’ve easily gone on the “Moment of Truth.” I mean, Gangstarr basically had a formula that was too predictable. They were always gonna have a song about Brooklyn (even though neither was from there) “The Place Where We Dwell”, “The Planet” and “New York Straight Talk.” Guru’s always has a song about a shorty, “Love Sick”, “Ex to the Next” and “She Knows What She Wants” Primo’s always got the trademark scratches, Guru was always gonna have the same flow, etc. And trust this isn’t a knock on them at all! I LOVE Gangstarr but when a competition between two groups is this close, you gotta start knick picking. See, with ‘Kast there is no predicting what’s going to happen next. What “sound” will they come with this time, what style of rhymes will Big and Dre be hitting you in the head with next? I mean, who REALLY saw “Bombs Over Bagdad” coming? That to me is just one of the many reasons why Outkast is the best hip hop group ever. When you do the knowledge on Outkast, they dropped “Player’s Ball” in ’93 when NOTHING hip hop was coming outta Atlanta or the entire south for that matter. I remember thinking the song was dope but it wasn’t until “Southernplayalisticadillacmuzik” dropped that I was like these cats are serious! After hearing “Southernplayalistic…” I was riding with these down south cats and the crazy thing is, even with me feeling both of these songs and “Git Up Git Out” with Goodie Mob, I still didn’t buy their album! My girlfriend at the time loved ‘Kast and had their CD and I would borrow hers but every time I was about to put it in, I’d always reach for something else. Deep down inside, I think it was the east coast in me, so even though I was feeling their music, I didn’t wanna give them a chance cause they were from down south. (The craziest thing is I just listened to the entire “Southernplayalistic…” album for the first time 3 years ago!) But at the end of the day, the Source decided to give them a chance cause ‘Kast won for Best New Rap Group in ’95. 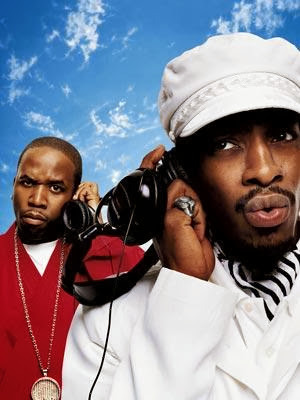 And don’t forget about the ILL gem they dropped between “Southernplayalistic…” and their next album “Atliens” “Benz or Beamer” off the New Jersey Drive Soundtrack which was just another banger in the chamber for them. And that’s the song that made me see it was something special about this cat Andre Benjamin. “Elevators (Me and You)” was the first single to drop from there sophomore album “Atliens” and I can remember the first time I heard it on the radio. (when the radio used to play hip hop) I was on Lincoln Drive in Philly with my dude Jazo and I was BLOWN AWAY! And when Dre came in with the 3rd verse?!?!?! Come on ya’ll, even in ’96 with all of the dope hip hop that was coming out, that verse could’ve won for the Source’s Hip Hop Quotable of the year! Now, keep in my mind “Atliens” was the first Outkast album I’d ever heard but the funny part is, I STILL didn’t buy it! I borrowed it from my girlfriend AGAIN but this time I actually did listen to it and I loved it. 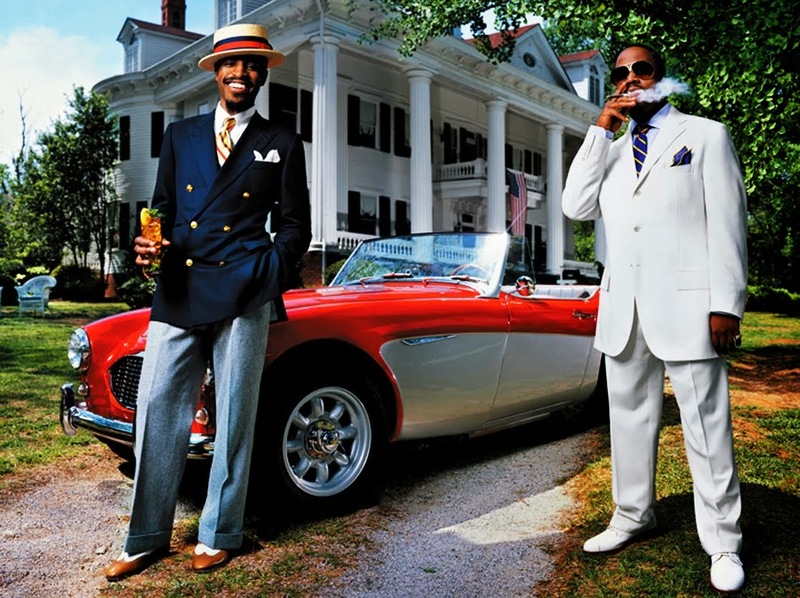 “Two Dope Boyz in A Cadillac”, “Wheelz of Steel”, “Atliens”, “Jazzy Belle”, etc. I could go on and on about how much I loved this album but what made me really get “Atliens” was moving to Decatur (not Atlanta, but Decatur…there’s a BIG difference) in ’96. I had no clue about what a lot of stuff Kast were rhyming about until I moved down south. I finally learned what Big meant when he said “the package store is closed, ok my day is ruined.” And it was something about being in Georgia when this album was out because EVERYWHERE you went, ALL you heard was Outkast. By the time “Aquemini” dropped I was back up north in Baltimore hosting Strictly Hip Hop, Morgan State’s radio show again and me in my man Gary was going through the mail one day in the production studio and Arista sent us Kast’s new single “Rosa Parks.” Needless to say we probably listened to this song for a hour straight and I just remember asking myself “is that a sonar noise from a submarine that they’re using for the snare?!?!? !” And as usual, Dre has to drop a verse that’s just flat out dumb AGAIN! And when we finally got the advanced copy of “Aquemini” in the mail?!?!?! It was an all out battle royal at the station to find out who was gonna take the only copy that Arista sent home! All I can say about “Aquemini” is not only is it a 5 mic classic, a dope hip hop album, etc. but it’s flat out beautiful. And I don’t think I’ve EVER used the word “beautiful” to describe a hip hop album. “Skew it on the Bar-B” with Raekwon, “Synthesizer“ with George Clinton, “Aquemini”, “Liberation” were all perfect. And “SpottieOttieDopaliscious”?!?!?!?! This could possibly be one of the dopest songs I’ve EVER heard! The horn arrangements?!?!?! Am I really talking about horn arrangements on a hip hop song? 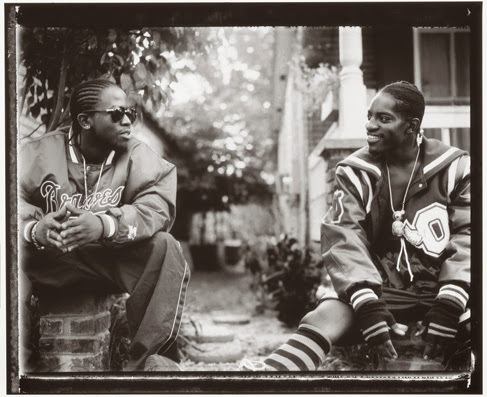 And in my opinion Outkast and Organized Noize were the best at mixing live music with the boom bap of hip hop in a way that no one else was doing and STILL aren’t coming close to doing now. And Dre’s verses on “Return of the G” and “The Art of Storytelling Part 1”?!?!?!!? You might as well give him Hip Hop Quotable of the Year AGAIN! And not only was Dre KILLING his rhymes but it was also the content of what he was saying. He wasn’t just rhyming to rhyme, he was rhyming and had something to say. That’s just one of the many things that separates Dre from a lot of these other rappers out here. And I know I keep biggin up Dre but it’s not like Big was a slouch and wasn’t coming with it just as much and holding his own. In fact, it wasn’t until after “Aquemini” dropped that I started thinking this dude Dre is actually a step ahead of Big. Around this time I know a lot cats cut Dre off cause this dude started wearing some of the weirdest stuff I’ve ever seen. Me and my dude Jas (one of the few cats who agrees with me about ‘Kast being the best ever) used to call each other and just trip out on what Dre was wearing whenever he was on tv. But the wild part is, even though he looked like a straight up nut, his rhymes seem to be getting doper and doper. Cats always joke about how Erykah put some crazy spell on Dre and Common but the difference with Dre is he got doper with E. Badu while Com got wacker. And not for nuthin, but keep in mind these cats went from having Organized Noize doing all of their production to now doing the bulk of their own beats for self under the Earthtone banner. Now how many cats can you say went from not doing any of their own beats, to now producing the bulk of their music and it was right on par with what Organized Noize was giving them? Next up with ‘Kast, we’ve got their 4th album and the funny things about “Stankonia” is when I first heard “Bombs Over Bagdad” I hated it. I mean, I HATED IT! I remember talking to Jas and he was saying how dope it was and I was like you’re buggin’…it sounds like a bunch of noise. And then one day, out the clear blue sky…I started liking it and before I knew it, I LOVED it. And the icing on the cake for ‘Kast’s discography is “Speakerboxxx/Love Below.” I know a lot of cats wrote them off with this one cause 3000 was singing on the whole album (but truth be told, The Love Below was better than a lot of R&B albums that were dropping, I mean, Raheem DeVaughn did remake “Prototype”) but again the one song on “The Love Below” where Andre was spitting on “A Day in the Life of Andre Benjamin” made up for any of Dre’s singing cats weren’t feeling. And again, Dre was spitting better than your favorite mc, even off just one song. And who’s REALLY gonna front on Big’s disc “Speakerboxxx?” Cats weren’t feeling “The Way You Move?” “Ghetto Muzik?” Stop frontin. “Bowtie”, “Rooster”, “Church”, “Unhappy”, “Reset” were all bangers. And try to catch amnesia and act like this album didn’t go on to sell 10 million copies. (yeah, I know it actually sold 5 million but since it was a double album they credit it as two purchases-but has your favorite hip hop groups ever sold 5 million copies of one record? Didn’t think so.) 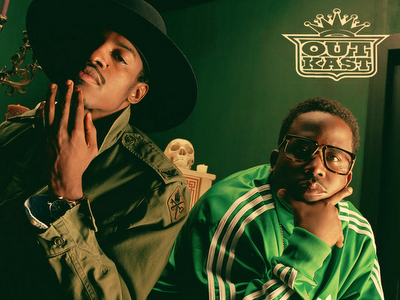 And I haven’t even touched on the number of albums that Outkast has sold. See, when cats bring up record sales, it’s always the same ole argument “Hammer sold blah blah blah many albums, does that mean he’s the greatest ever?” Cats love to hate on record sales but isn’t that the point of being in the record business, to sell records? 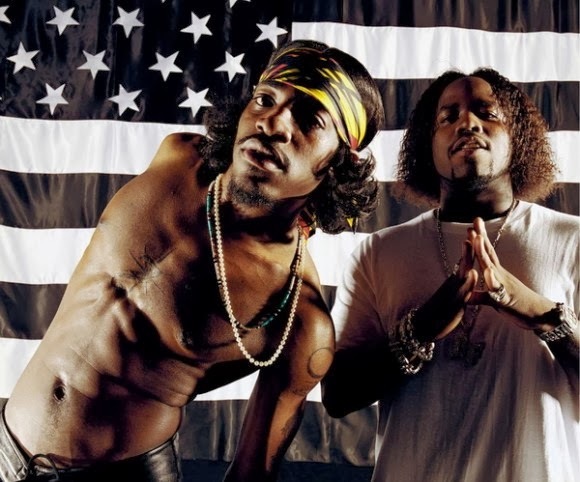 And Outkast does a VERY good job of doing that…their way. Who else in the last 20 years has sold over 10 million records without one of the big time producers backing them? Without Dre and Em backing 50, he’s not the same 50 who’s selling vitamin water. Jay started moving units after Big died and he inherited his audience plus Jay keeps Swizz, Timbaland and the Neptunes around for that single. Em needed Dre and Dre needed Em. And the list can go on and on. Nobody but Kast is moving these numbers by themselves…do the math. 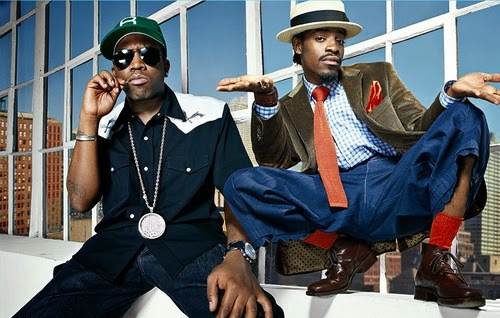 So, after 6 Grammy’s (one for Album of the Year…NOT Rap album of the year but album of the year for “Speakerboxxx/Love Below”) over 25 million records, over 15 years in the game and each album sounding ENTIRELY different from the last, my question to you is, how can you NOT think Outkast is the best hip hop group ever?